Home Studio Anjuna near Chapora Junction is a very well-maintained independent home with lots of light and fresh air and lush green surroundings. The property is located not far from Ozran Beach and many inland attractions. 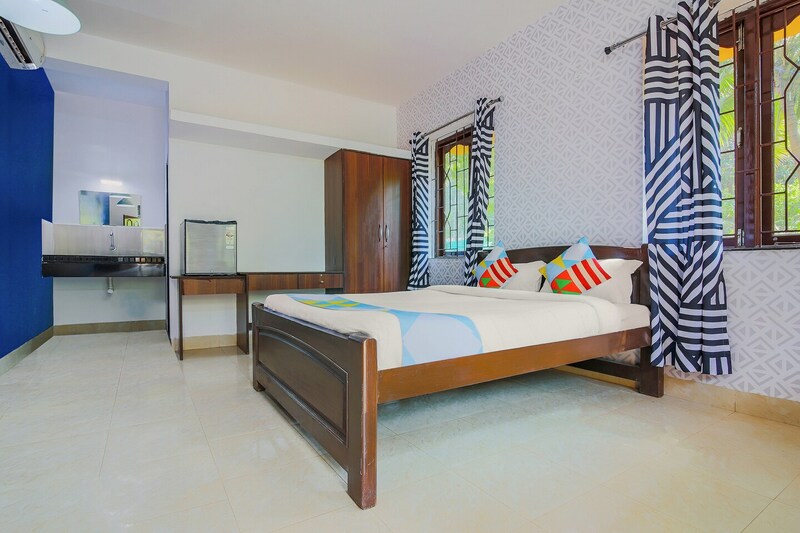 Feel rejuvenated with the refreshing colors and comforts of the room. This home comes with a TV with satellite connection so you would not have to miss out on your favorite shows even while you are on a vacation. Chill your favorite beverages or cook up a quick bite in the hygienically clean kitchen. If you wish to check out some of the finest dishes that Goa has to offer, check out Buon Appetito or Palm Grove. They are close enough for you to just walk there.